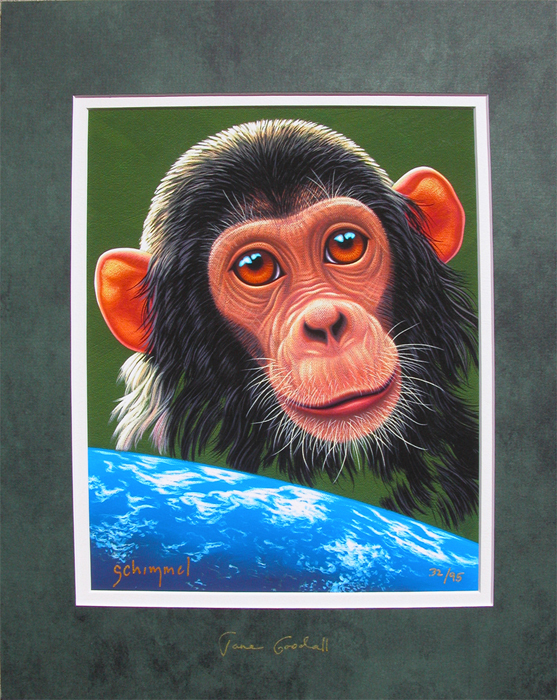 In conjunction with the release of Disney Nature’s movie, “Chimpanzee,” SchimmelSmith Publishing is excited to highlight one of Schim’s most special images, “Jane’s Legacy.” This piece was painted especially for Jane Goodall and the Jane Goodall Institute to help celebrate the institute’s 30th year anniversary of conservation work with chimpanzees. “Jane’s Legacy” is a 95 piece limited edition Giclee print on paper. It is double matted, outside dimensions 14” x 11”, and is signed by both Schim and Jane. 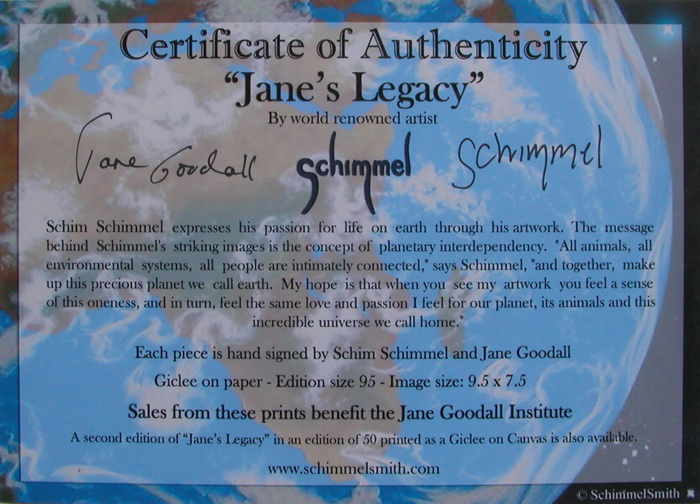 A certificate of authenticity is included with each print, and is also signed by Schim and Jane. 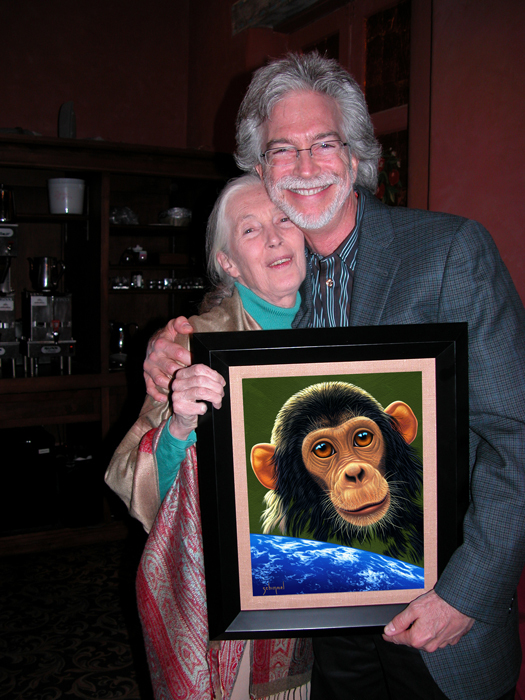 100% OF THE PROCEEDS GO DIRECTLY TO THE JANE GOODALL INSTITUTE.